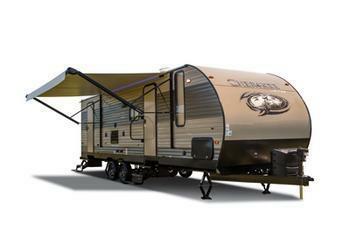 Forest River is recalling 223 model year 2017-2018 Forest River Cherokee travel trailers. A 14-gauge and a 12-gauge neutral wire for the 110V air conditioning were connected to the same lug in the 120V panel neutral bus bar. If both wires were connected to same lug, the smaller wire could overheat and fail due to trying to handle a higher load, thereby increasing the risk of an electrical fire. Forest River will notify owners, and dealers will relocate the subject wire to another 14-gauge terminal, as necessary, free of charge. Owners may contact Forest River customer service at 1-260-499-2100. Forest River's number for this recall is 17A-0609.